A Charleston-bound ship that dumped more than 70 cargo containers in the sea during rough weather is expected to arrive at the port Thursday. The Maersk Shanghai is scheduled to be worked at the Wando Welch Terminal in Mount Pleasant starting at around 7 p.m., according to the State Ports Authority. It is arriving from Savannah en route to New Jersey. 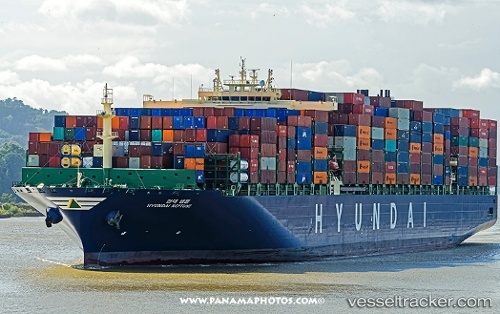 The ship lost an estimated 76 containers on March 3 during a "heavy roll" after leaving Norfolk, Va., for South Carolina. It was about 17 miles off the North Carolina coast when it encountered a powerful nor’easter that produced hurricane-force winds and waves of up to 40 feet. Afterward, the ship briefly anchored near Charleston as officials reviewed the losses. Maersk skipped the South Carolina call and sailed the Shanghai directly to Freeport in the Bahamas for salvage work. Some of the containers were later spotted floating in the Atlantic and were designated by the Coast Guard as navigation hazards, according to news reports. Maersk said one of the lost boxes was carrying about 5,900 pounds of sulfuric acid, but there have been no indications that it either surfaced or washed up on shore. No other hazardous materials were reported in the lost containers. The crew was unhurt. Maersk Line was unable to discharge the cargo of the "Maersk Shanghai" before conducting a week-long salvage operation at Freeport, which was completed on March 21. Inspections of containers in Bay 42 were to be carried out next. Regular cargo operations were expected to commence on Mar 23. MSC awaits final confirmation of the port rotation for the onward voyage. The US Coast Guard, NOAA and Environmental Protection Agency were monitoring the tracking and assessment of approximately 76 stray cargo containers about 17 miles off Oregon Inlet, North Carolina, on March 10, one week after the "Maersk Shanghai" alerted watchstanders at Coast Guard Sector North Carolina’s command center via VHF-FM channel 16 that they lost about 70 cargo containers during a heavy roll. Maersk later confirmed the total number of containers lost overboard was 76 as well as their contents. A. P. Moller-Maersk reported one of the containers lost at sea was carrying about 5,900 pounds of sulfuric acid. There are no indications any containers of sulfuric acid have surfaced or washed up on shore. No other hazardous materials were reported in the containers. Coast Guard Air Station Elizabeth City crews, Coast Guard Auxiliary aircraft crews and aircraft crews contracted by the shipping company have conducted multiple overflights, locating nine containers on the surface. At present, only two of the nine sighted containers remain floating.